I have enough blog topics to have a post every day for about a month or two, and yet I haven't actually sat down to write them. I have the materials ready to make a zoo for Emmy's stuffed animals and yet I haven't done that either. In case you needed another reason to hate the Steelers (believe me I didn't) They signed Michael Vick as back up QB. Maybe Ben can give Mike some tips on how to avoid jail time. 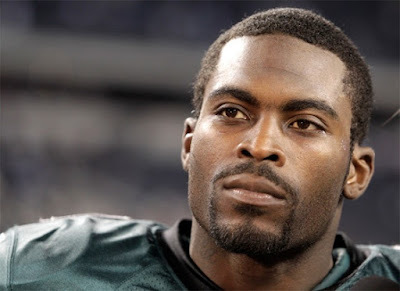 You may remember Michael Vick from his other occupation. If you live in the Pittsburgh area and your dog goes missing, you know where to look. There are some that say he has served his time and should be forgiven. I am not Jesus and I don't have Alzheimer. I don't forgive and I don't forget. Especially when its something like this. Those poor animals didn't have a chance. I must say though I'd be interested in how this bar owner, who refused to play the Eagles games in her bar in Philly will handle Vick playing for the Steelers. I'm sure there will be pressure to have the games on.